Extremely powerful 1000 mW beam output (check local regulations to ensure this product is legal to use in your country). Still using hand signals to point things out under the water? STOP. Another world first from Nemo Power Tools. The Nemo Submersible laser is completely waterproof and rated to 50M depth. Designed for professional divers, scuba divers, scuba instructors, and dive masters, visible at night or daytime dives. With a powerful 1000 mW blue beam, the Nemo submersible laser lets you communicate with your fellow divers and point out artifacts, marine life and anything you don’t want your buddy to miss under water. Nemo submersible laser is also used a signaling and safety product, allowing scuba instructors to grab the attention of divers around, mark their location to boats above and make themselves visible from miles away in or out of the water in case of life-threatening emergencies. Lasers can be very dangerous machines that require extreme care when being operated. An eye injury can be caused by a low-power or high-power laser, making it very important to be cautious around them and make people aware of their dangers with laser warning signs. Even small amounts of laser light can cause permanent eye damage by burning the retina of the eye. 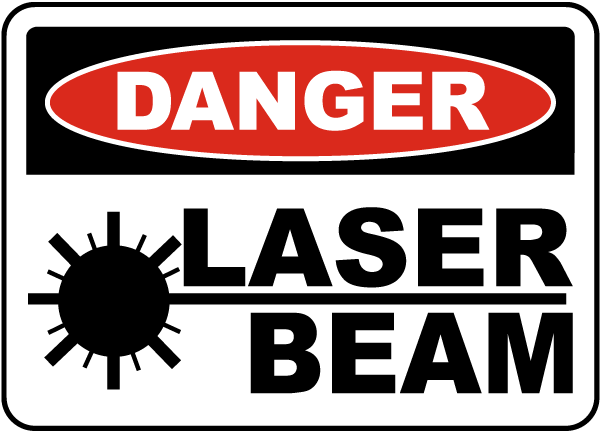 People handling lasers in your workplace need to be properly warned of the health hazards, and laser warning signs can help with that. – Never point a laser directly at the eyes of people or animals around you. – 1000 mW blue laser is capable of lighting some materials on fire from several feet away. – Treat this product with extreme caution and keep out of reach from children or inexperienced divers.